Legendary singer Andy Williams lost his year-long battle with bladder cancer on Tuesday night, his family confirmed in a statement. He died at home in Branson, Missouri. He was 84. Williams was well-known for his Oscar-winning song "Moon River," which was featured in the iconic 1961 movie "Breakfast at Tiffany's," but that's far from his only hit. The crooner, who got his professional start in the business at the age of 8, also saw success with songs like "Canadian Sunset," "Can't Get Used to Losing You" and "The Hawaiian Wedding Song," for which he received his first of five Grammy nods. Williams is survived by his wife, Debbie (pictured with Williams above in 2009), and his three kids, Robert, Noelle and Christian. Instead of flowers, the family has requested that donations be made to the Bladder Cancer Advocacy Network. His Christmas specials were THE best! What a special man - go with God. (CNN) -- Annette Funicello, one of the best-known members of the original 1950s "Mickey Mouse Club" and a star of numerous 1960s "beach party" films, has died, the Annette Funicello Research Fund for Neurological Diseases Inc. posted on Facebook. NEW YORK (AP) — Jean Stapleton, the stage-trained character actress who played Archie Bunker's far better half, the sweetly naive Edith, in TV's groundbreaking 1970s comedy "All in the Family," has died. She was 90. Stapleton died Friday of natural causes at her New York City home surrounded by friends and family, her children said Saturday. Little known to the public before "All In the Family," she co-starred with Carroll O'Connor in the top-rated CBS sitcom about an unrepentant bigot, the wife he churlishly but fondly called "Dingbat," their daughter Gloria (Sally Struthers) and liberal son-in-law Mike, aka Meathead (Rob Reiner). Stapleton received eight Emmy nominations and won three times during her eight-year tenure with "All in the Family." Produced by Norman Lear, the series broke through the timidity of U.S. TV with social and political jabs and ranked as the No. 1-rated program for an unprecedented five years in a row. Lear would go on to create a run of socially conscious sitcoms. Stapleton also earned Emmy nominations for playing Eleanor Roosevelt in the 1982 film "Eleanor, First Lady of the World" and for a guest appearance in 1995 on "Grace Under Fire." And you know who you were then, girls were girls and men were men. I don't know just what went wrong. Those Were The Days. Mr. Nimoy announced that he had the disease last year, attributing it to years of smoking, a habit he had given up three decades earlier. He had been hospitalized earlier in the week. 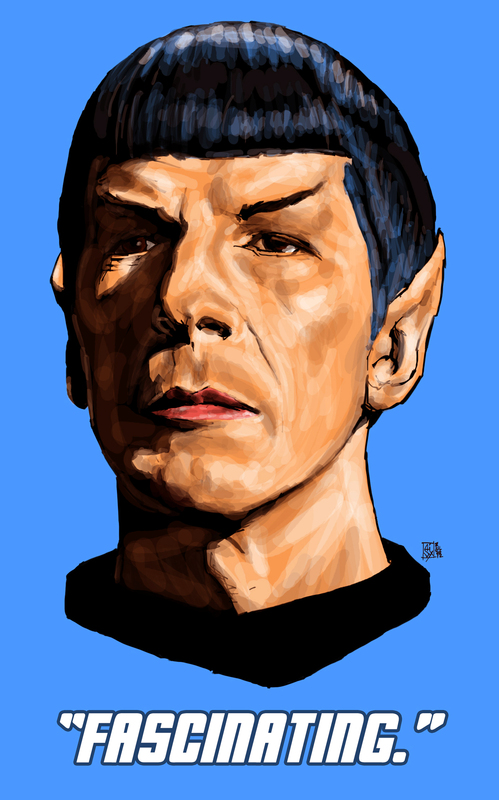 His artistic pursuits — poetry, photography and music in addition to acting — ranged far beyond the United Federation of Planets, but it was as Mr. Spock that Mr. Nimoy became a folk hero, bringing to life one of the most indelible characters of the last half century: a cerebral, unflappable, pointy-eared Vulcan with a signature salute and blessing: “Live long and prosper” (from the Vulcan “Dif-tor heh smusma”). May the Force be with you Leonard - you gave us joy with your life's work.